Sant Antoni has two great treasures: its impressive sunsets from Ses Variades and the beauty of its almond blossoms. It's funny how the nightlife and atarcederes of Sant Antoni are known around the globe, while the rural essence of this beautiful town is unknown to many visitors. Although not surprising: the port of Sant Antoni is one of the most popular tourist areas of the Mediterranean, and the most visited of Ibiza. Located just 20 minutes drive from the airport, one of its main attractions is its stunning bay, from which to enjoy the best sunsets of the immersed island in a festive and colorful, with the islet of Sa Conillera as backdrop background. The promenade of Sant Antoni is one of the demands of this municipality, where the precious palm groves and the collection of boats, yachts and sailing boats are the perfect picture of summer. In fact, Sant Antoni is the largest natural harbor of Ibiza, why the Romans christened this port as "Portus Magnus". Around the marina, a maze of streets prostrates himself at the feet of the visitors, who can wander through the shops, services and local bars. On summer evenings, the number of visitors is massive, especially in the area of ​​the West End. The splendid bay of Sant Antoni, near the town center, is the center of village life. 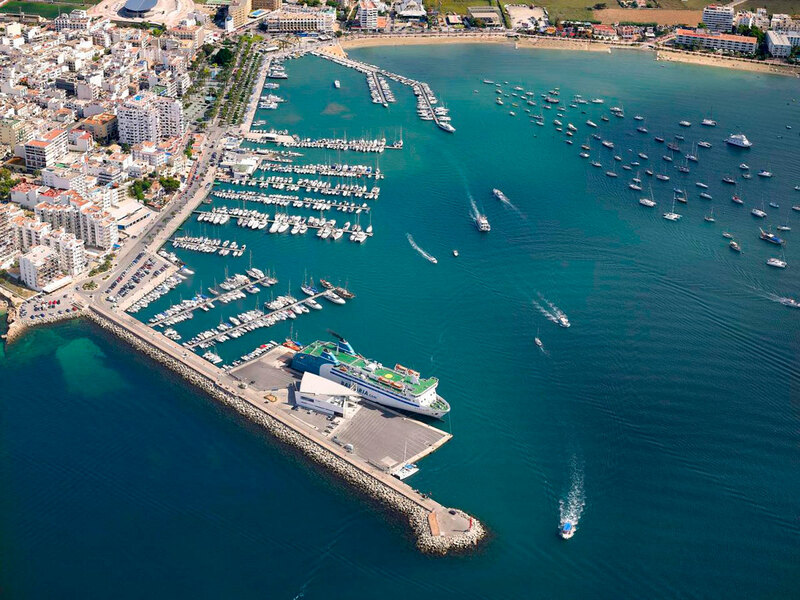 The area is full of shops, restaurants and all amenities, including Sant Antoni boats that connect with other parts of the island, various coves -Cala Tarida, Cala Bassa, Platges de Compte or Cala Gració-, marina, pier fishing or sailing club. From the promenade Ses Fonts, the maze of alleys invites lost and discover hundreds of shops and all types of businesses, among which can be found products Ibizan or typical fashion of the island (sausages, spirits, fashion adlib , gastronomy, artsanía, jewelry, etc.). In addition, the center offers a tour to the outskirts of Sant Antoni, to reach Ses Variades. Every summer day, thousands of people come to the coast of Ses Variades to see the stunning sunset. The local bars are the ideal accompaniment, offering cocktails and chill-out music. Classics such as Café del Mar, Mambo, the Kumharas or Savannah, and lesser known, like the Mint, the Shushi Mambo or Kanya, offer a real spectacle for the senses. The coast in this part of town is called Calo d'es Moro and are only 10 minutes walk from the center. To book your accommodation near the bars of the sunset must be proactive! 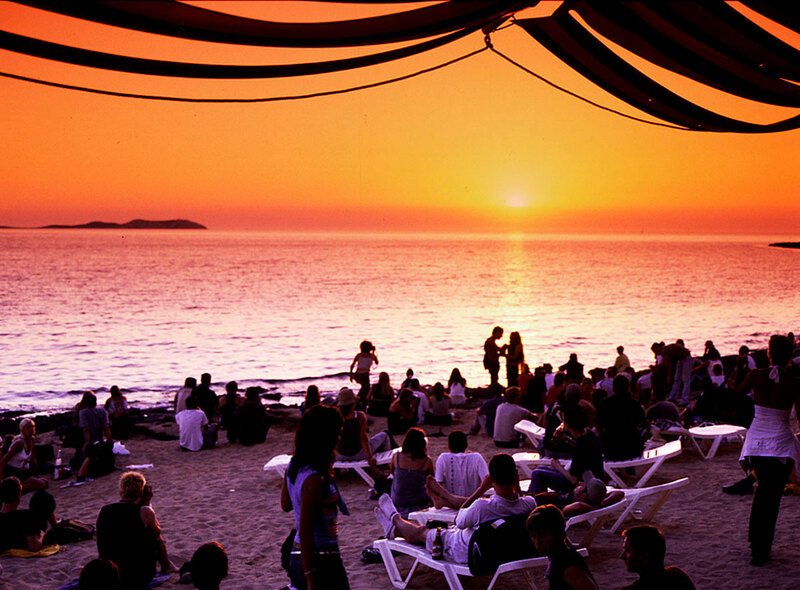 After immortalize the best sunset of the island, people focus on the vibrant West End Sant Antoni, countless bars and small clubs that intertwine and shape the discotequera tourist area of ​​the island. There are also two of the biggest clubs in Ibiza, Es Paradis and Eden in which to dance the best electro sounds, house and technos the hands of the best DJs in the world to live which is undoubtedly one of the best summer nights. Worth going beyond the town of Sant Antoni and wander through the villages surrounding it: Sant Rafael, Santa Agnes, Sant Mateu or Buscatell are just a few suggestions. The village of Santa Agnès, for example, is the ideal place to get lost in the Pla de Corona, full of almond trees that bloom in February and white stained fields excuse. A visit to the mysterious fortress of Torres d'en Lluc Ses, ideal for those fond of archaeological mysteries prehistoric settlement, lovers of the most unusual landscapes of the island.